The recently launched Australian skincare brand Blessed by Nature, is delighted to announce a partnership with media personality Anna Heinrich. With her healthy lifestyle, natural beauty and love of nutritious ingredients, Anna is the perfect fit for Blessed by Nature’s range of natural and organic skincare products. Known for her inspiring Instagram feed and lifestyle blog Love Always Anna, the Sydney-based 31-year-old is frequently seen on the red carpet and at events. As an avid beauty junkie, the glamorous blonde is always on the hunt for the perfect products to help with her sensitive skin. 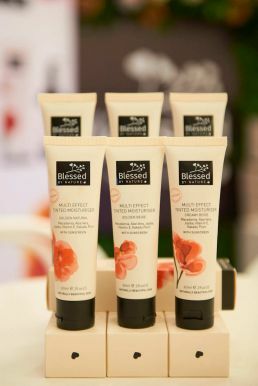 As an Australian brand, Blessed by Nature’s ingredients are obtained locally from the most sustainable sources. The collection contains Australian botanicals, extracts, vitamins and natural antioxidants to help reduce the signs of ageing, plus natural essential oils that create a beautiful, sensory experience. 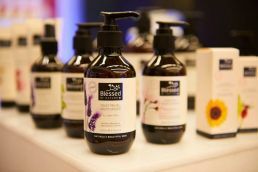 The Blessed by Nature range of Australian skincare products is available online and in Priceline stores nationally, with prices starting at $8.95. 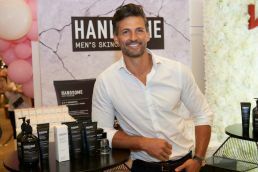 Australian-owned Handsome Men’s Skincare is proud to introduce fitness guru Tim Robards as their brand ambassador. Known for his rugged good looks, chiselled physique and dedication to health, fitness and clean living, Tim knows the importance of looking after himself, which makes him the perfect fit for Australia’s leading skincare collection for men. 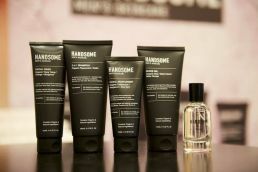 The brand-new range offers men an extensive collection of quality grooming products made with natural and organic ingredients that are effective for male skin, enjoyable to use and look stylish in their presentation. 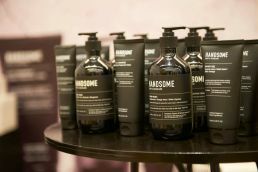 On a quest to make the world more handsome, Handsome Men’s Skincare is the brainchild of two of the biggest names in the Australian beauty industry, Mark Tucker and Neale Joseph, who recognised a gap in the market for skincare products specifically designed for men. As Tim prepares for his wedding to The Bachelor beauty Anna Heinrich, he’s bringing his A-game to his daily grooming routine. “I spend a lot of time outdoors and in the water, so the Handsome Facial Wash and Facial Moisturiser are great for keeping my skin hydrated, and the 2 in 1 Shampoo and Body Wash are the perfect addition to my gym bag,” says Tim. The Handsome range of Australian skincare products for men is available online and in Priceline stores nationally, with prices starting at $17.95.